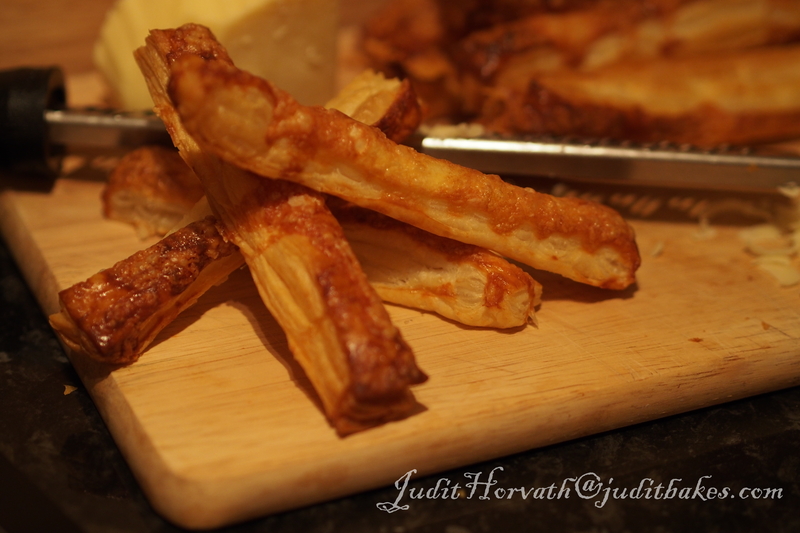 Cheesy Rough Puff Sticks | When Judit bakes...bread and better..
Baaad cheeeeese! Cheese has got a bad reputation with a large percentage of our health-conscious society. It can be very high in saturated fat, threatening blood cholesterol levels. Most cheese is also high in sodium, which can raise blood pressure. In the same time, cheese hides the most essential nutrients into its tiny squares. It is a great source of protein. One serving of cheddar contains about 12 g of protein, not a lot less than the same amount meat. Cheese is also a significant source of vitamin A, which is vital for healthy skin and hair. It’s high in phosphorus, which promotes bone and tooth health, vitamin B12, which aids in red blood cell formation and zinc, which helps form our bones and tissues and convert food into energy. And it’s a source of potassium, which helps lower our blood pressure and improves muscle function. Sift the flour and salt into a large bowl and add the butter, rub the butter to coat it in flour. Mix the water and lemon juice together in a jug and pour it into the flour and butter mixture. Using a spatula, cut across the contents of the bowl several times until the dough comes together. When the dough has come together, tip it onto a lightly floured work surface and quickly shape it into a thick slab. Flour the work surface well and roll the dough out to a large rectangle. 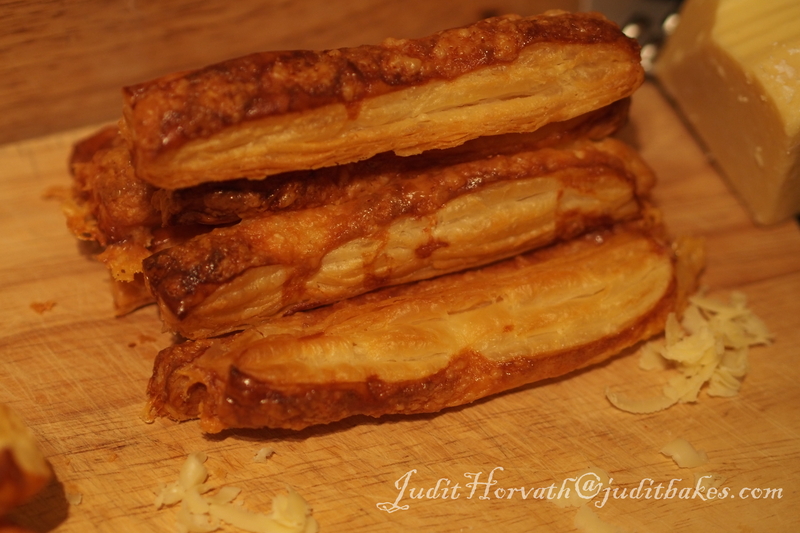 Fold one-third of the dough to the centre, then fold the other third over that. 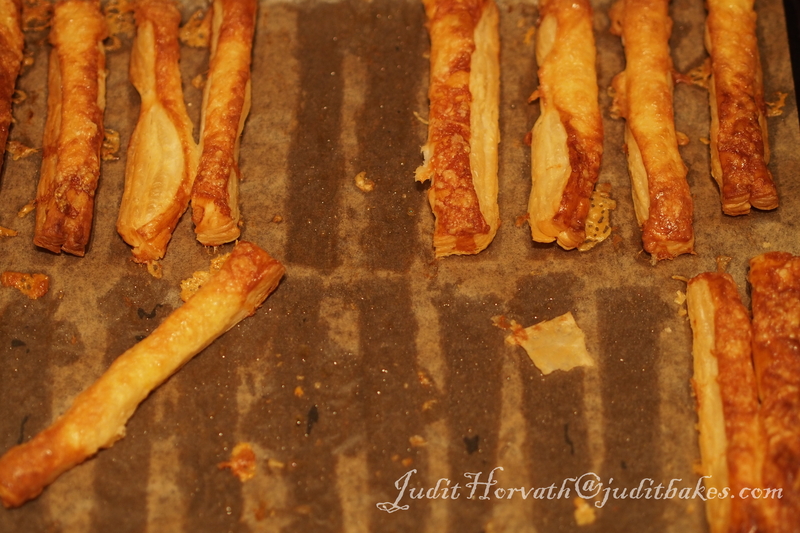 Roll the pastry out again to the same proportions. Fold in exactly the same way again. 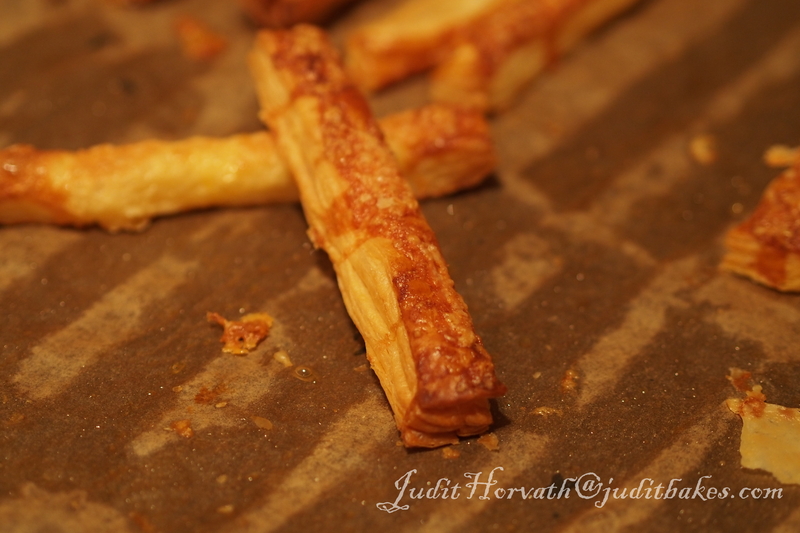 Rotate the pastry a quarter turn and repeat previous steps. Continue rolling, folding, pressing and turning a quarter-turn 3-4 more times. If the butter escapes through the dough, just keep the board and rolling pin well floured. After the last folding stage, wrap the pastry in cling film and place into the fridge to chill for several hours, preferably overnight.When ready to use, allow it to warm in the room for a few minutes before using. Roll it into a large rectangle on a well floured surface. Apply egg-wash and scatter on grated cheese (a mixture of strong cheese types works best). 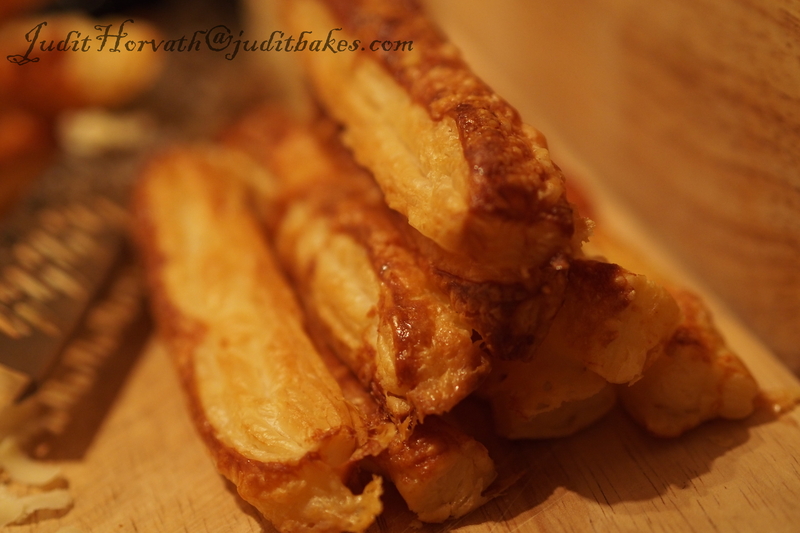 Finally cut into long strips and bake it in a 200 degrees C pre-heated oven. Cheese is a the great-tasting staple that transforms simple dishes into indulgent treats. If one keeps to the old-fashioned approach “little goes a long way”, cheese can be enjoyed on a daily basis. 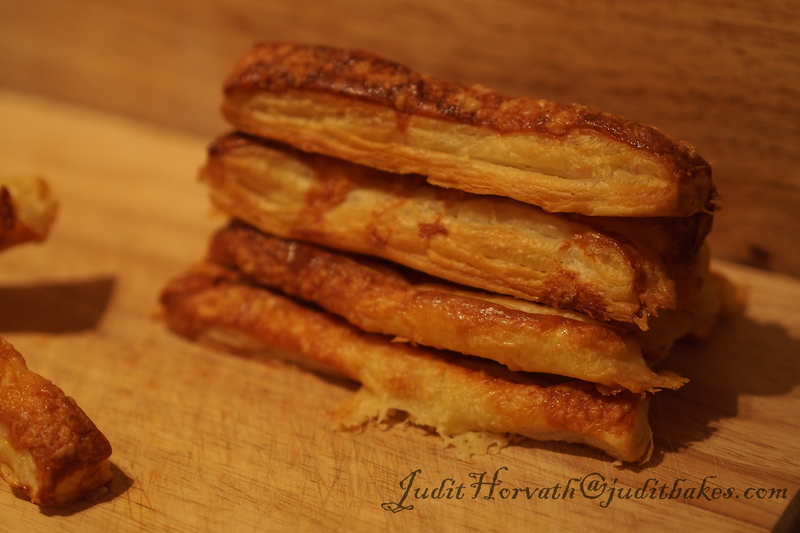 This entry was posted in Baked treats, Just Everything, Savoury bakes and tagged breakfast, food, rough puff pastry. Bookmark the permalink.